A stunning four leaf clover adorns this authentic PANDORA charm. 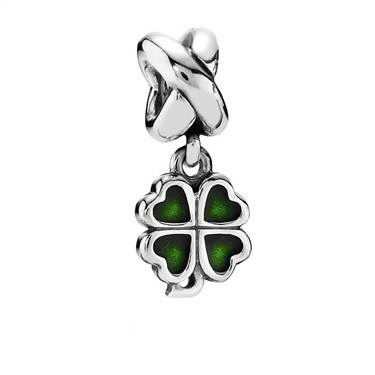 Ensure luck is always on your side with this beautiful sterling silver charm, which has been delicately accented with green enamel. 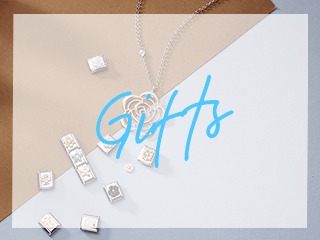 Ordered the Pandora Four Leaf clover charm for a present the item was beautifully packaged and excellent value for money. Excellent service and delivery would recommend. Was happy with the product itself however the price not as stated (and is again stated at the top of this review. When i got my credit card bill I was charged €50 rather than the €46.80 stated above. I know its not much in the difference but you shouldn't really put a price if you are not 100% sure that it is correct. Argento Responds: We set our conversion rate on the website for Euros at 1.17, from the sterling equivalent. Our terms of purchase are easily ofound, and confirm that all our payments are taken in sterling, as we are a UK based company. 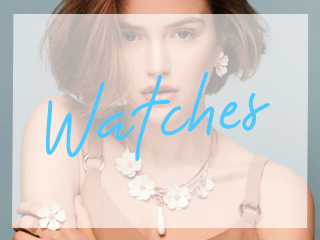 You shop on the website argento.co.uk. Any additional charges will come from your bank for currency conversion. We are in the process of changing to a multiple currency site, which will take payments in GBP, Euros and US dollars, but due to the number of currencies worldwide, it is impossible for us to accept payments from each country in its own currency. We are completely sure the prices shown are the corerct Euros conversion from the sterling price at a conversion rate of 1.17. Beautiful charm. Ordered one day received the next; Who could ask for more? Easier than going to a store, I will definitely shop at Argento in the future. Very satisfied customer,the charm is lovely and came in a beautiful gift box. Delivered the following day. Excellent service, will use again. This four leafed clover is beautifully designed and makes a great centre piece for my Pandora necklace. Purchased for my fiancee on the anniversary of our engagement and thankfully she loved it. this is a fabulous charm. Looks really well on my new pandora necklace. Fast delivery, my mother in law loved it for her mothers day gift. 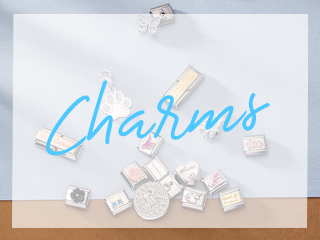 Lovely charm looks okay on moments bracelet. Hi. Does this charm fit a Pandora bracelet securely or is it for a necklace? Thank you.